Don’t like hearing sounds from other running apps in Windows except for the thing you’r doing like playing a movie or music? Check out SoundVolumeView. 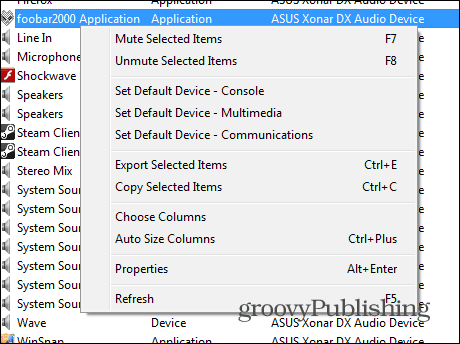 If there’s one thing I don’t like, it’s hearing sounds coming from other apps while I’m playing a game, watching a movie, or listening to music on my Windows PC. But after using SoundVolumeView, that’s never happened again. Let me give you an example, you’re engrossed in a movie and suddenly you an annoying alert sound from Skype, or email client, heck, or even Windows alert sounds itself. Sure, you could just leave those programs off, or turn off their alert sounds, but creating sound profiles is a better way. 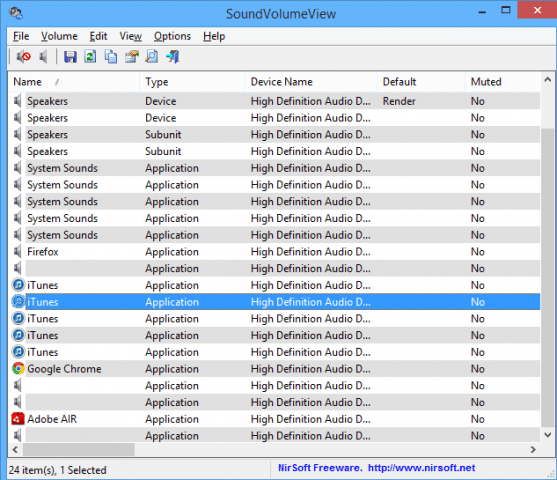 SoundVolumeView allows you to create sound profiles that are specific to what you’re doing at the time. 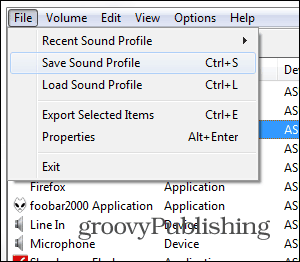 You can create a profile in which no other sounds are allowed, except the music coming through your audio player such as Foobar. Start by downloading SoundVolumeView. 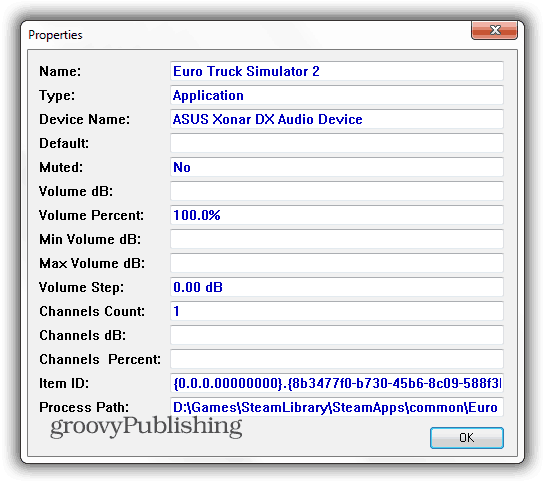 It works on Vista and higher and is available in both 32- and 64-bit versions. Sorry, no support for XP, but since Microsoft is killing support for it in a few weeks, time to upgrade folks! But I digress. This utility is clean, with no malware or bloatware involved in the installer. I even scanned the files with VirusTotal and they came out clean. After downloading your file, unpack it in a place you can easily find on your computer’s hard drive (or you could even unpack it to a flash drive). Then, open the folder and run the software. You’ll notice that it has a simple interface, listing all the devices and programs which are currently capable of playing sounds. If you right-click an app or a device and then left-click Properties, you’ll be provided with details about it. Here comes the most useful part. The same menu that comes up when you right-click a device or software allows you to mute that specific item. If you don’t want to hear sounds coming from your browser, my suggestion is to mute Shockwave Flash and the respective browser, as it tends to act on its own. Once you’re done muting everything you don’t want to hear, create a profile, so that you can mute them with two clicks next time. 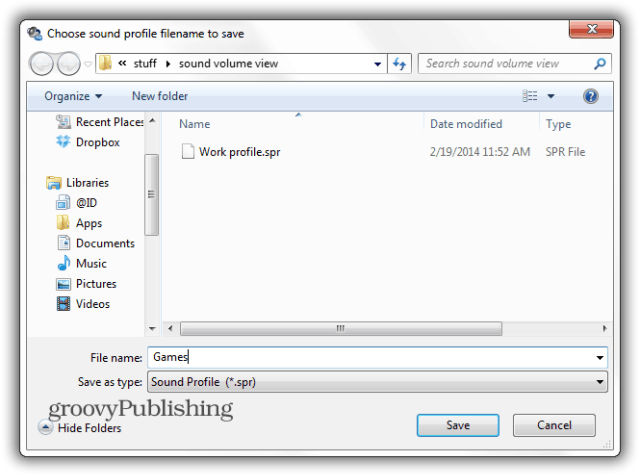 To do so, just click File > Save Sound Profile. Alternately, you can use the Ctrl + S key combo. What’s really odd is that the app’s toolbar includes a button that has the Save symbol on it, but that one will export the selected items to a .txt file. After that, give your profile a descriptive name and Save it. Then, when you want to switch to a certain profile, just click File >Load Profile or use Ctrl + L. A list of recently used profiles is also provided, to make things easier. All in all, SoundVoumeView is a useful app, which does as advertised. It works well with integrated sound cards as well as ones you add. 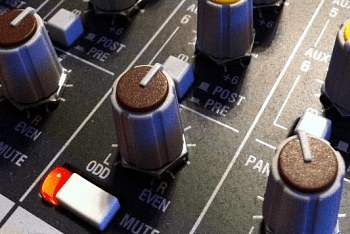 Speaking of those, here’s how to upgrade your sound card.